Microsoft has been bugging Windows 10 users with unnecessary ads for quite a while now. If you are a regular Windows 10 user, you may have seen this Set up OneDrive popup show randomly on your PC. It normally shows up a few times a day and asks you to signup for OneDrive. You can close the thing, but Microsoft has made it such that unless you kill it, the setup will bug you repeatedly. If you want to get rid of this annoying popup, continue with this post to know the steps. There are two ways you can go about that. You can either disable OneDrive or completely uninstall it from your PC. Both methods are perfectly reversible, so whichever you choose, everything on your PC is safe. Press Windows + R to open the Run box. Type gpedit.msc and press Enter. This will open the Group Policy Editor on your PC. In the Local Group Policy Editor, navigate to: Local Computer Policy > Computer Configuration > Administrative Templates > Windows Components > OneDrive. Look for the Setting with the name Prevent the usage of OneDrive for file storage on Windows 8.1. Right-click on it and select Edit. This setting, by default, is to Not Configured. Set it to Enabled. If you never use the OneDrive, you can simply uninstall it from your Windows 10 PC. Press Windows + X + A to open Command Prompt with Administrator privileges. Type taskkill /f /im OneDrive.exe and press Enter. Now, type %SystemRoot%\System32\OneDriveSetup.exe /uninstall (for 32-bit OS) or %SystemRoot%\SysWOW64\OneDriveSetup.exe /uninstall (for 64-bit OS) and press Enter. While OneDrive is uninstalling, you won’t see any uninstallation prompt or notification from Windows to notify you of what’s happening. If you ever change your mind about OneDrive and feel like using it on your PC, then you can reinstall it again. For that, you can use the setup file present in the SystemRoot folder on your PC. Type %SystemRoot%\SysWOW64\ and press Enter. Look for OneDriveSetup.exe and open it. 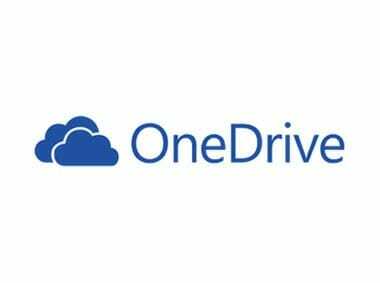 Now, if you look for OneDrive, you’ll find it installed on your PC. So, that’s how you disable the Set up OneDrive popup in Windows 10.